Michael: Welcome back to the show. We're going to be talking about ColdFusion practical digital accessibility with Bouton Jones. I think I just made a meal of your name there. Not the Jones. Michael: Bouton, yes. I practiced it three times before we hit record, but still much screwed up. Michael: Well that's good. So we're going to be looking at what accessibility actually means, and a lot of those things you may not have thought of before. And also, we're going to look at how this presentation you're giving at C.F. Summit on practical digital accessibility is different from other accessibility talks people may have seen before. And there’s some interesting stuff there I just been talking with you about it, and there’s some stuff I've already learned that I gave a talk of topic 15 years ago. So just goes to show you can always learn new stuff. And we'll look at why it's so important and what you can do to make your ColdFusion apps even more accessible, and some of those are things you definitely have not thought of. So, stay tuned, and welcome Bouton. Bouton: Thank you, thank you. Michael: So just help us understand what exactly is accessibility? Bouton: Well I think of accessibility as a component of usability. But it's specific to those of us who have disabilities. We need extra help accessing what the rest of us take for granted. I myself, I think a fact that I wear a pair of glasses, in a way, it shows that I have disability. But I take it for granted that I have this wonderful technology around my face. And so, I don't need extra technology to take care of that. Michael: That is a good way to look at it. I bet a lot of people listening have some kind of assistive technology or some kind of disability. What other disabilities do people have that we should be paying attention to? Michael: I’ll raise my hand on the dyslexic one. I had that for many years. I use spell checkers all the time. Bouton: I cannot survive without spell checkers. Spell checkers have made me man I am today. It's prevented me from standing behind the McDonald's counter asking people if they want fries with that. Michael: And then what other disabilities maybe people are less aware of? Michael: And if… Yes someone like Stephen Hall can’t use a mouse, and anyone who's blind can’t use a mouse. So, a lot of people can use mice. Bouton: So it's very important for one thing that your website can be navigated and forms can be filled out without the use of a mouse. Michael: And then, there’s some other ones; color blind. My father is color blind. So if you… That means you might have two colors, but to a normal person, they can tell a difference. But they look the same to them. Bouton: Or even sometimes, someone wants a color scheme, color palette for the website and which the background color and the foreground color are very much similar. I was watching a slide show months ago in a session at a conference. And from the back of the room, it would take me several seconds in order to read, figure out what the title of the slide was. Michael: Wow! And one other thing I like to be aware of is some people have epilepsy, and if there's a lot of flashing and stuff going on and your app. Hopefully, people aren't using that flash tag anymore. Michael: I hope not. They might have flashy graphics going on possibly. So, I know you've really gone into this accessibility thing. I looked at the… I had a sneak peek at the slides you going to be revealing in your talk, and you've got really a lot of research done into this work. What led you to get interested in accessibility? Bouton: Well I've been interested in it for years. For a long time, I thought I was very good at accessibility. It was one of those skills that I prided myself in. It seemed that every job interview and I was a contractor for ten years. So, I and numerous job interviews. And seemed like every job interview I would be asked about accessibility and I would give a very nice pat answer that seemed to satisfy my potential employers, and my employers. But it was something that was rarely ever followed through on. It was never really part of a quality assurance review. I was never… I was hoping that my accessibility was so good that there is no reason to criticize it. Michael: We’ll talk more about those other file formats a bit later because that is something people may not have thought about the perhaps their app is sending out e-mails, r has P.D.F.s, or documentation. And they haven't even considered to make that accessible. Bouton: Well as a web developer, P.D.F.s never occurred to me. Someone who’ll sent me a P.D.F. and I'll post it online. And I won't… it never occurred to me that I was posting something inaccessible. Michael: Congratulations talking at C.F. summit. And you're talking on accessibility. But some of us listening have probably heard an accessibility talk before. We figured oh yeah, we've got this all figured out. How is your talk going to be different? Bouton: Well, when I was [inaudible] [09:01] out of these discussions I was having with David Andric. We decided to cooperate on a presentation on accessibility in which he would explain the needs for accessibility. And he would also explain his experiences in accessible. And I would illustrate these experiences by displaying these documents, these P.D.F.s. And also giving sound recordings. All the actual accessibility of these documents. So my… this presentation is an [inaudible]. Instead of having a presentation that is from the perspective of a user of assistant technology. In other words, this is the technology I use, this is what I do, this is what it sounds like. Or the prospective of a developer; this is what you do correctly, this is what you do wrong. I combine the two, so there is more significance, there's a correlation. You can see what the result of bad coding is, and you can hear what the results of good coding is. Michael: So, why is accessibility so important today? Bouton: Well, I think it's only going to become more important as particularly in North America as our population ages, as our vision decreases. There's an estimate that about 20 percent of North American population has disabilities of some sort. Imagine if your website was a [inaudible] front, and you have an employee in the front of the store. You don't remember hiring him, but he's an employee who is turning away one of the very five of your potential customers. Telling them, “We don't value your business. You're too much difficulty for us to deal with. We think you're insignificant, and just go somewhere else.” And that's what happens when you have an inaccessible website. But I think primarily, the primary reason is because we as ColdFusion developers, we can describe our rule, our responsibility in one word – communicate. It's our responsibility to communicate information, or our clients, or our businesses, or our organizations. And when we fail to communicate to part of our audience, that's a failure in our duty. Michael: I mean it's also I think a moral thing. Michael: It's not very nice to have an app and then a bunch of people who use it have difficulty using it, or can’t use it at all. Bouton: And there's the legal argument. A lot of people say, “Well, I'm sure our site is accessible enough, and we can win any court case.” But my feeling is it's much easier and cheaper not to go to court than to win a accessibility case. Michael: And then do any… are there any guidelines that relate to this or? Bouton: Well, the W3C has guidelines that are in North America particularly accepted as a legal standard. And I'm sure it's accepted worldwide as the factor standard for accessibility. I would rather have people look at those guidelines and follow them than rather to discuss the legal questions. It's just simpler to just make an accessible site rather than worry whether or not you're going to be party to a lawsuit. Michael: Absolutely, so what are some of the practical things people should be looking at to make their ColdFusion app accessible? And let's include some of the things they may not have thought of. Bouton: Well, think about the ColdFusion as it's mostly a backend technology. But accessibility is mostly a problem on the frontend. But you would want to have fully accessible HTML Markup. I would you suggest using [inaudible] H.T.M.L. Making sure that your site can be navigated without the use of a mouse. I would test with this screen reader. Actually, I would test with more than one screen reader. And I would make sure that those who can't see are able to appreciate; fully appreciate your website. If there's any audio or video, there should be a transcript available, or captions. Also, something that I myself often overlook, or used to overlook is, is your additional media accessible? If you have a P.D.F.s or Word documents, or PowerPoint slides posted on your website, are they accessible in themselves? As a ColdFusion developer, my attitude used to be, well someone gave me this content, I'll just post it. And I assumed that they knew what they were doing. And they probably assumed I knew what they were doing, and it's not necessarily accessible. For example, a website that has a lot of legal documents that have been signed; say corporate policies, or departmental policies that needs signatures. Often what happens is someone prints out that document, it's signed by the executive, it's scanned in and posted. But it's as far as a blind user is concerned, that's a blank document. Michael: Right because they can’t read. They screen reader can’t read a graphic. Michael: If the P.D.F. contained actual texts, they could screen read the text. Bouton: Yes, another pitfall I used to do this all the time. I would have a Word document or Web page, and I would print to P.D.F. So the text of that document was saved to a P.D.F. But all the navigation, all the semantic backup is lost. It's better to export a word document to P.D.F. Michael: And I guess having any flash or other rich Internet stuff is a problem as well. Bouton: Well anyone still using flash, there is one more reason not to use it. And that it's very problematic as far as accessibility is concerned. Michael: Yeah, and then, are there are any things that can help out? I've heard of Skip Links. Tell us what that is. Bouton: Well skip links, it's a link often [inaudible] [17:51]. It's the first link in the DOM tree. And so, that way, the blind user doesn't have to listen to all the links in the header and the navigation page. The first link they can just follow that, and go directly to the content. One pitfall however is that designers don't like skip links to be visible. There are a distraction, they’re a complication, or something that most of us don't see the need for, and so skip link is hidden. So that it will be read aloud by the screen reader, but won't be visible to the rest of us. Now that's great for everyone who doesn't use a mouse. So, if you have skip links, you should be able to activate them with a tab key so that as soon as you visit a website, hit the tab key, the skip link will appear. And then you can press enter, and you go to the content. That would benefit those people who don't use [inaudible] like Stephen Hawking. Michael: Right, who may be coming to your website? You never know. And then captures are another issue, right. If you have one of those image captures, course that isn't going to work for someone who's blind. And some of those image captures are hard for people with normal sight to be used, honest. Bouton: Oh! I often have to go through those captures three or four times before I use them correctly. One strategy if you have to use captures, is instead of having a weird distorted picture of letters and numbers, put a math program there. One plus two plus three, and it equals and then the non-computer the afro user can put in six. Google also has a service recapture would show they’ll provide you an A.P.I. and you can use that. And it has an embedded link to read the capture aloud or it could be blind users. Michael: Well, those are great solutions. Anything else in ColdFusion apps that we should pay attention to, or that you found surprising when you looked into this? 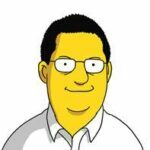 Bouton: Well last year, I attended at the ColdFusion summit a presentation by Steve Shinee. He was talking about accessibility and he was specific about the MCML – Master Control Markup Language, which was a library of custom tags that he created for his employer. And it was a great way of forcing accessibility on the frontend developers and all the developers when you have a large website. Unfortunately, that had a lot of proprietary… those custom tags had a lot of proprietary information on them. So they're not publicly available. But I think that is a great idea that hopefully, someone will pursue, and make publicly available. A bunch of a CFC with a bunch of custom tags that force accessibility. I think that's great idea that it's time I hope will come soon. Michael: Well, we'll put the link to his slides into the show notes along with… There was a talk I gave many years ago [inaudible] [22:16] accessibility and one Ray Camden has given on this. So we’ll put all those in the episode show notes. So we've looked at what you need to do in your code, and we talked a little bit about how other files that may be in your apps like P.D.F.s or documents. What about email, or social media that you have been linked from your app? Bouton: Well, I didn't want to spend too much time on social media because I think that's not so beneficial for ColdFusion developers. But e-mails, one thing I didn't include in the slides which would like to mention is if you know you're communicating with the blind users, rather than embed a URL in your email, embed it as a header like. Because otherwise, your blind user has to listen to this long drawn out address of that means nothing to them. However, if you don't bend a hyperlink it's just a little bit more work. That'll be something that you can actually use and understand. Michael: That’s a great tip. One other thing that applies to all these things that we haven't really talked about and that's the language to use in the copy and text of emails, or in the website itself. And we mentioned right at the beginning that you know some people are autistic, or their English is not their first language. So simplifying the language that's used. Bouton: Well, accessibility is just one more reason to use simple language. Don't use language than it's more complicated than necessary. And I think a lot of us… myself when I was going to college, we had a tendency to try to use long winded words, and we don't necessarily communicate better. We just thought it made it sound more intelligent. But the truth is and the nuance, the norm group had a paper on this recently; an article. Using simple jargon free language actually makes you seem more intelligent, and can be appreciated by those with advanced degree. These are people who like all of us are busy. They need to get the information quickly, and long rambling sentences are not the ways to do that. Michael: Right and that affects not just accessibility, also affects if you have a sales page, affects your conversion rate, or it affects how long people stay on your site so. Bouton: Yes, and it also affects the search engine optimization. Search engines can review your site and more accurately, or simply if you're using jargon free language. Michael: Great! Well, I'm looking forward to how your talk goes, and I think this is an important topic. So appreciate you talking about it. 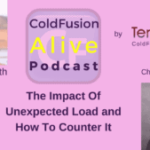 Let's talk about some other things related to ColdFusion before we close the episode. So, share with us why you're proud to use ColdFusion. Bouton: Well, I love ColdFusion. I started as a web designer, and it was so easy to bootstrap my way from web design into web development using ColdFusion. I think it's underappreciated language. I think it’s powerful. I wish it didn't have this reputation people thinking you know oh, ColdFusion; is that still around? Well it is around. It's a great way of creating dynamic, strong, scalable applications. Michael: Great! Well, sorry go ahead. You had something else? Bouton: No, that was it. Michael: Okay, so I'm all for that. I mean that's why I titled the podcast C.F. alive because I think we need to make ColdFusion more alive and recognize is a modern language if you use the right tools and techniques. Like you're talking about here with the accessibility angle. So, what would it take to make ColdFusion more alive this year? Bouton: Well, whenever I go to these conferences, there are people who are complaining that ColdFusion has this reputation of being dead. And we're telling each other that it's not dead, and we're telling each other that it's great. But really, what we need to know is how we can tell other people who are not ColdFusion developers, how to let them understand that it is a dynamic living language all powerful with a future, and a past. And we need to know how to sell it to our clients and our prospects. Michael: That is a great point. In fact I did an interview on the podcast and I’ll link that in the show notes about how to sell ColdFusion, and the ROI of ColdFusion development. I'll put one in. Bouton: That would be a great session. And if I was presented at C.F. United or Adobe ColdFusion conference, that would draw a crowd. Michael: I think it's important topic. So, talking of C.F. Summit what are you looking forward to at this year's C.F. Summit? Bouton: I'm looking forward to learning more about ColdFusion. I'm looking forward to meeting ColdFusion developers, and knowing that it's still alive. That there’s still people excited about it. That's what I’m looking forward to. Michael: Well fabulous! Well with 500 CFers all gathered together, I'm sure you’re gonna achieve that. So if folks wanted to find you online, what's the best way to do that? Bouton: Well, I was fortunate in that I was able to secure the domain boutonjones.com. That’s B O U T O N J O N E S dot com. Michael: Excellent! Well, we will put that in the show notes, and also we're going to link to the slides that you have. And also, I’m putting in some of the videos that you're going to share, so people can check out how to do some of these things. So, thanks so much for coming on to the podcast, and for staying up so late in Austin Texas to make it happen so.